Previously best-known for 2014’s character drama The Imitation Game, director Morten Tyldum leads a big-budget sci-fi effort with 2016’s Passengers. Set in an unspecified future era, the Starship Avalon carries more than 5200 hibernating humans who take a 120-year flight to a newly-created colony called “Homestead 2”. However, after only 30 years, a malfunction awakens one of the passengers, Jim Preston (Chris Pratt). After a long, lonely deliberation period, Jim decides to rouse another inhabitant, Aurora Lane (Jennifer Lawrence). Together they attempt to deal with various challenges on their extended journey. We often hear how the “star system” in Hollywood has died, and Passengers offers evidence for that concept. Two of the most successful younger actors in films today, Lawrence and Pratt boast many hits behind them, so who better to draw viewers into multiplexes? Alas, Pratt and Lawrence didn’t appear to add much box office sizzle to Passengers. Despite their audience appeal, the film sputtered to a relatively low $100 million in the US. With a $110 million budget and $303 million total worldwide, the movie probably turned a small profit, but all involved clearly expected more from it. Perhaps Passengers would’ve done better if it’d managed to create its own identity. Instead, the film often feels like little more than a conglomeration of influences. Predominant here, we see a pretty clear adherence to the Titanic model. That means half the movie follows a romantic path while the second gets more into action/disaster. Expect a lot of nods to other films, though. In addition to Titanic, we get clear, conscious echoes of 2001 and Alien as well as some Cast Away thrown in for good measure – and a nod toward The Abyss at the end. I wouldn’t mind the plethora of influences if the movie used them in a better integrated manner – and if the film came with a smoother plot. As noted, it offers a fairly bifurcated experience, and when it shifts from romance/character drama to sci-fi action flick, it does so in an abrupt way. No, the change of gears doesn’t come totally out of nowhere, but it doesn’t connect well with the rest of the tale either. This means Passengers seems like two different movies that got stuck toward in an awkward manner. Whether it favors character areas/romance or action/peril, Passengers doesn’t achieve much success. Lawrence and Pratt never really connect, and the material that unfolds lacks the necessary drama to involve the viewer. Honestly, I wouldn’t call Passengers a genuinely bad movie, as even with its flaws, it remains a watchable enough effort. It just becomes a disjointed affair whose parts don’t come together in a satisfying manner. 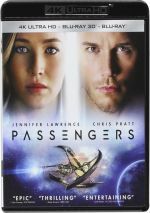 Passengers appears in an aspect ratio of approximately 2.39:1 on this Blu-ray Disc. The film offered a largely appealing image. For the most part, sharpness seemed very good, though some minor lapses occurred, as I felt some wider shots could seem a bit tentative. Still, the flick generally came across as accurate and well-defined. To the surprise of no one, the movie opted for a teal and orange palette. Predictable though those choices may be, they came across with positive clarity and dimensionality. I also felt pleased with the film’s impressive DTS-HD MA 5.1 soundtrack, as it added involvement to the proceedings. Much of the movie stayed with general environmental information that brought out a good sense of the starship setting. When necessary, the soundfield broadened to give the story a nice action orientation. These moments increased as the film progressed and brought out solid movement and punch when appropriate. Effects fared well, too, as those elements boasted positive accuracy and heft, with deep, tight low-end along for the ride. Though not a rock-em, sock-em affair, the soundtrack kicked into higher gear as necessary. When we head to extras, we find a mix of featurettes, and these start with Casting the Passengers. It runs 10 minutes, 39 seconds and includes comments from writer/producer Jon Spaihts, producers Michael Maher, Stephen Hamel and Neal H. Moritz, director Morten Tyldum, and actors Jennifer Lawrence, Chris Pratt, Michael Sheen, and Laurence Fishburne. As expected, this show looks at cast, characters and performances. It comes with a handful of decent thoughts but it mostly praises the actors. Next comes Space on Screen, a seven-minute, 26-second piece with Pratt, Moritz, Lawrence, visual effects supervisor Erik Nordby, interactive LED lighting consultant Fred Waldman, stunt coordinator Garrett Warren, and co-producer Greg Baxter. It looks at various effects used in the film and becomes a decent exploration of those areas. It gives us a pretty good collection of notes. With the four-minute, 19-second Chris Pratt on Set, we hear from Pratt, Lawrence, Baxter, Sheen, and Maher. We learn how awesome and fun Pratt is – don’t expect more than that. Creating the Avalon takes up nine minutes, 35 seconds and features Lawrence, Pratt, Tyldum, Spaihts, Fishburne, Sheen, and production designer Guy Hendrix Dyas. This piece discusses the design and execution of the movie’s starship. It turns into a fairly efficient overview. Eight Deleted Scenes go for a total of nine minutes, 49 seconds. Most of these tend to be short tidbits, but we do find some decent exposition for the characters. These tend to be interesting and a couple might’ve worked in the final cut, though I’m glad the one where Aurora taunts Jim got the boot, as it makes her too unsympathetic. A collection of Outtakes fills four minutes, 23 seconds. It offers a standard array of goofs and silliness. Under Book Passage, we get four “advertisements”. These occupy a total of four minutes, 40 seconds and try to sell customers on the Homestead voyages. They become a fun addition. The disc opens with ads for Inferno, The Magnificent Seven (2016), Billy Lynn’s Long Halftime Walk, Resident Evil: Vendetta and the Passengers “VR experience”. A commercial disappointment, Passengers lacks much to make a strong impression. It never turns into a bad movie but it doesn’t come together in a positive manner. 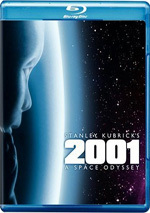 The Blu-ray provides very good picture and audio along with a decent complement of supplements. We find a pedestrian film here.